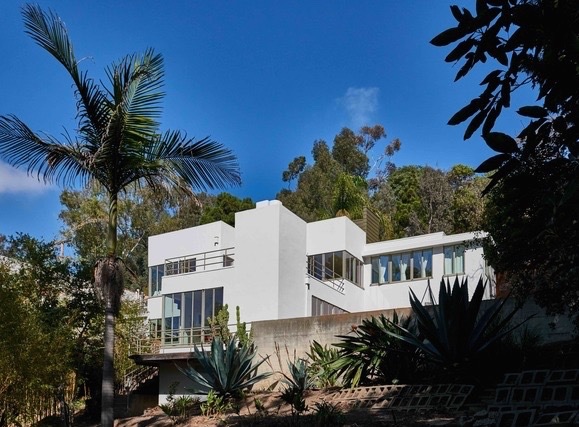 Originally designed in 1937 by renowned Case Study architect Thornton Abell as his personal residence, this extensively published home was thoughtfully and meticulously remodeled in 2012 by the sellers with the assistance of noted architect Scott Prentice AIA.Like so many Mid-century homes the property appears modest from the exterior. The interior conveys a powerful elegance that feels perfectly suited to casual Southern California living. Infused with sunlight, every room, patio and deck, has a view to the gardens, the magical ravine and brilliant sunsets. Floor-to-ceiling windows create a seamless line between the interior and exterior living spaces. Inspiring views will draw one to use the serene and zen creative studio/guest house situated on the property just below the main house. Located on a double lot in the coveted Santa Monica Canyon with close proximity to the beach (you can hear the waves at night), Rustic Park and Canyon Elementary School.